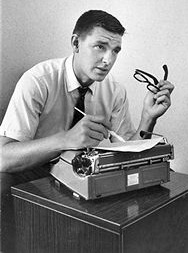 In an earlier post, I looked at cricketers and typewriters, conscious that the subject of cricket would leave most if not all North American readers cold. So in an attempt to compensate for that, here are typewriters and two of America’s national sports, baseball and football. 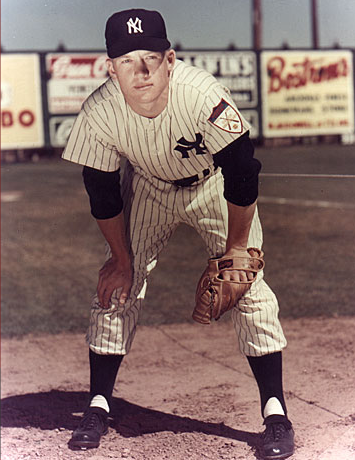 First, baseball, and the legendary Mickey Mantle. 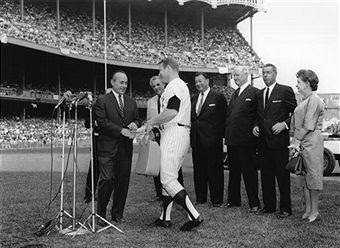 On September 18, 1965, Mantle is presented with a portable typewriter by Til Ferdenzi (left) of the New York chapter of the Baseball Writers of America, on “Mickey Mantle Day” at Yankee Stadium. The presentation took place before a Major League game between the New York Yankees and the Detroit Tigers. Others pictured include Floyd Smith (second from left), restaurateur Toots Shor (centre), former US Postmaster-General, James A. Farley (third from right), Joe DiMaggio (second from right), and one Miss Louise MacGeorge. The question here is: What sort of typewriter did the baseball writers give Mantle? Surely it’s an Underwood? Anyone knowing the correct answer wins a free copy of my little book, The Magnificent 5: And 250 Other Great Things About Portable Typewriters. Just add a comment below, and send me an address, if you know for certain what type of typewriter Mantle was given. 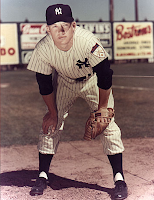 Mickey Charles Mantle (born Spavinaw, Oklahoma, October 20, 1931; died Dallas, Texas, August 13, 1995, aged 63) played his entire 18-year Major League career for the Yankees. He is regarded as one of the greatest players in baseball history. He was elected into the National Baseball Hall of Fame in 1974. Clyde Lee Edward Grosscup was born on December 27, 1936, in Santa Monica, California. 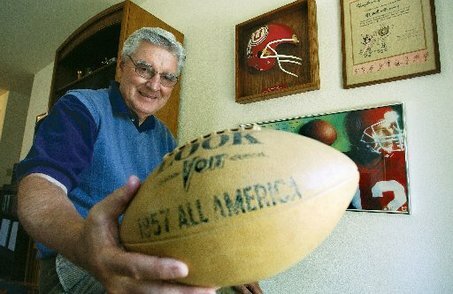 In 1958 he was named a first-team All-American by Look, the Newspaper Enterprise Association, the Williamson National Football Rating and Today. Apart from the Giants, Grosscup was also linked with the New York Titans (and Jets? ), the Saskatchewan Roughriders, the San Francisco 49ers and the Oakland Raiders. 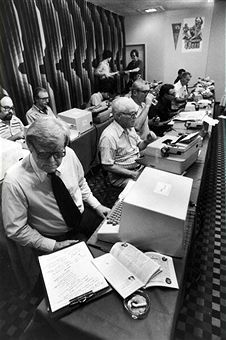 Staying on football, here are sports writers covering what is considered to be one of the great Super Bowls ever played, the January 21, 1979, Super Bowl XIII clash at the Orange Bowl, Miami, in which the Pittsburgh Steelers beat the Dallas Cowboys in the final minute. 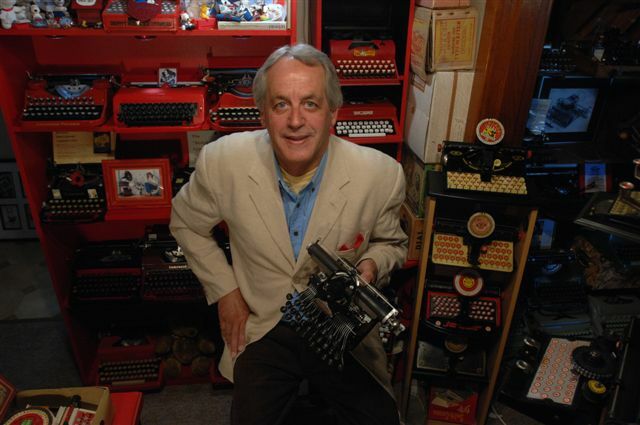 This photo seems to have been taken right at that crossover point between sports writers using typewriters and also computers. 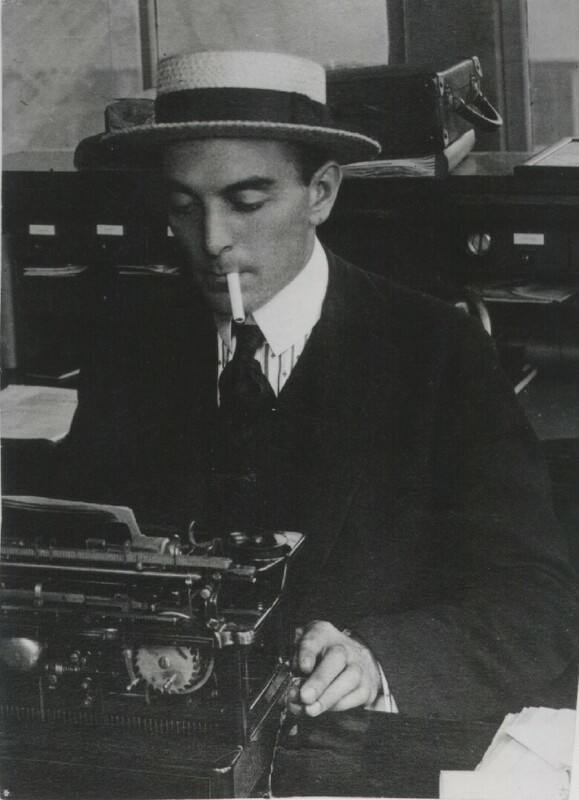 Finally, a salute to the wonderful Ring Lardner, who among many achievements was a great sports columnist. Indeed, one biographer said, “Ring Lardner thought of himself as primarily a sports columnist.” Lardner began his career as a teenager with the South Bend Tribune. He later Lardner a humorous baseball column “Pullman Pastimes” for the St Louis Sporting News. Lardner's last baseball writing was Lose with a Smile in 1933. Great post! I actually just received Ring Lardner's typewriter as a gift!